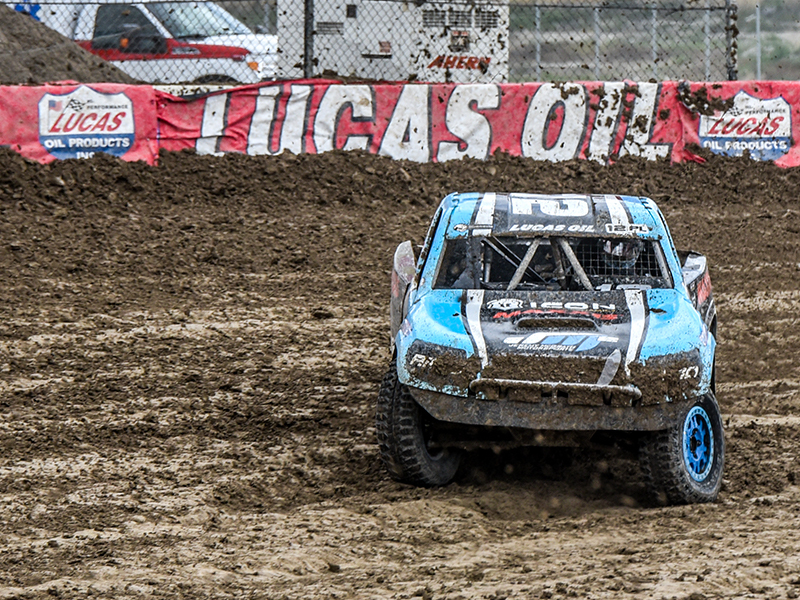 Jeremy McGrath Motorsports had a very successful weekend at the Utah Motorsports Campus. Jeremy and his team walked away with a dramatic 2nd place finish on Saturday and a wire to wire victory on Sunday. “What a great weekend for this hard working team! We had a challenging race on Saturday getting into heated battles with Renezeder and Mittag. It felt great to get back on the Podium. 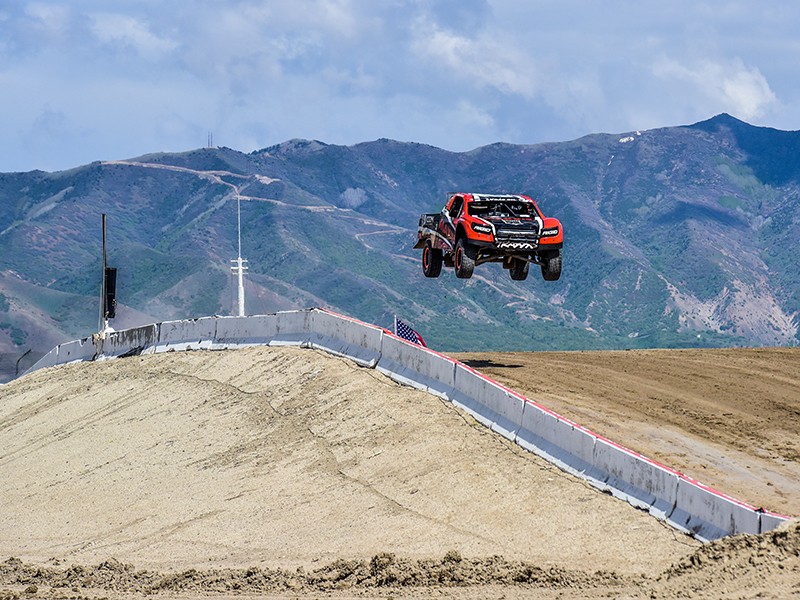 Sunday I knew my truck was fast and I really like the track in Utah. Its not very fast but has a lot of jumps and is very technical like a Supercross track. I qualified first, got the pole position and led every lap. Everything is clicking with the team and I feel very confident going into Estero Beach now sitting 2nd place in the overall points standings.” Said Jeremy in a post race interview. JM2 team member Brock Heger also had a very solid performance in Utah. 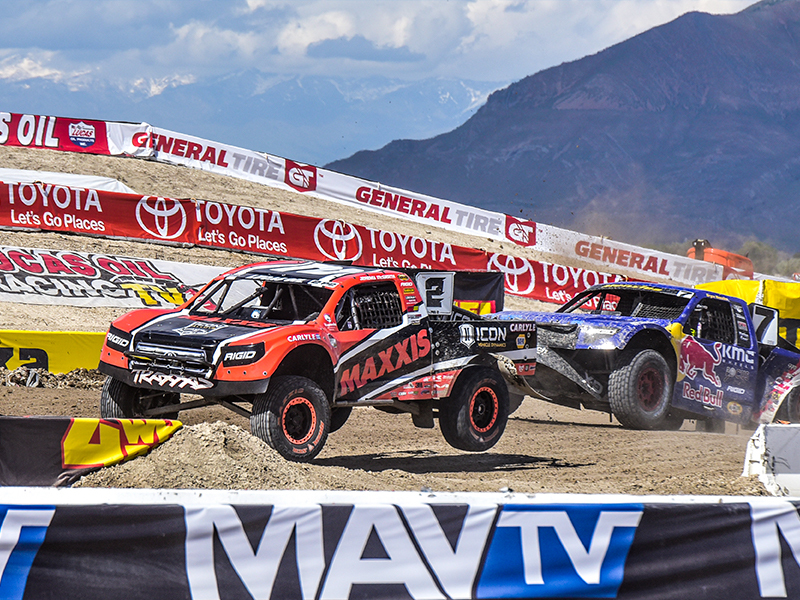 Brock put his ICON Vehicle Dynamics, Maxxis Tires Pro Lite in the # 4 position on Saturday. He had and epic battle with Brad Deberti that will surly be a highlight moment of the year. Sunday Brock drove another very fast consistent race and finished 4th. A technical inspection following the race Sunday disqualified the second place driver and mover Brock to 3rd for the day and 3rd overall in the points standings. “My truck is getting better each time we race and I plan to be on the podium more often. 4th place is pretty good, but I want to stand on the box every time I race. My crew has worked super hard and I still can’t believe I’m on this team with Jeremy. I really want to thank my parents and the McGrath family for the opportunity. I am looking forward to Mexico and can’t wait to get back in the driver seat!” Heger explained to the local media.